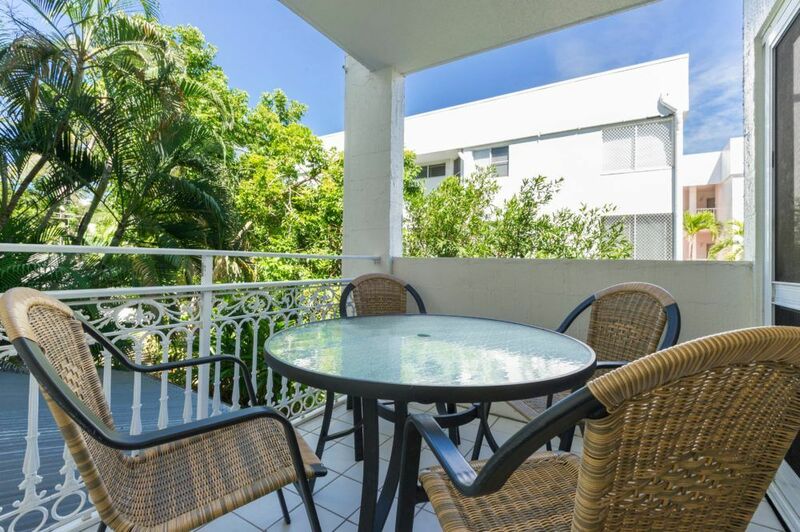 Port Douglas accommodation at Garrick House doesn’t come much easier than this, with the pleasing decor and layouts — our apartments are generously proportioned, you’ll immediately feel at ease at this accommodation in Port Douglas. The air conditioning in the living areas and ceiling fans in the bedrooms, not to mention the free cable television and complimentary Wi-Fi provide you with the necessities of modern living. Our studio, one and two bedroom Port Douglas accommodation apartments have flexible sleeping options too. You can add another bed, albeit a rollout, or a baby’s cot for a nominal fee to our one and two bedroom apartments. Our studio apartments can accommodate a baby’s cot only. 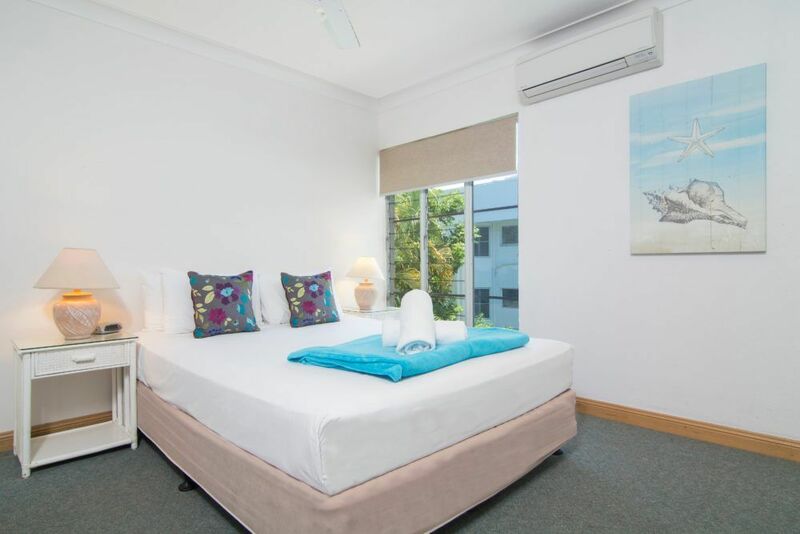 If you are booking our two-bedroom, two-bathroom apartments just let us know your required bedding configuration for your Port Douglas accommodation comfort. Options include 2 queen beds or a queen and 2 single beds. 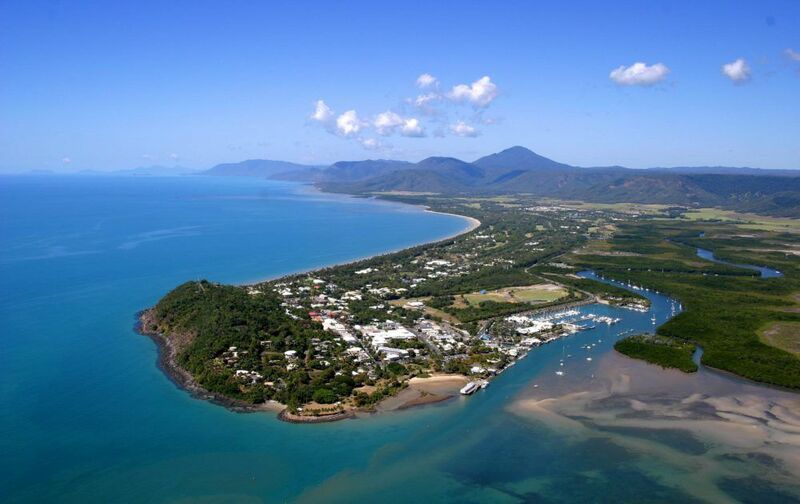 Our position close to Port Douglas’s Macrossan Street as well as 4 Mile Beach are winning holiday features with the Reef Marina also within walking distance. Garrick House is situated within walking distance to Port Douglas’s entertainment hub, but our resort will make you feel like you’ve landed in a secluded oasis…the perfect place to relax and unwind. 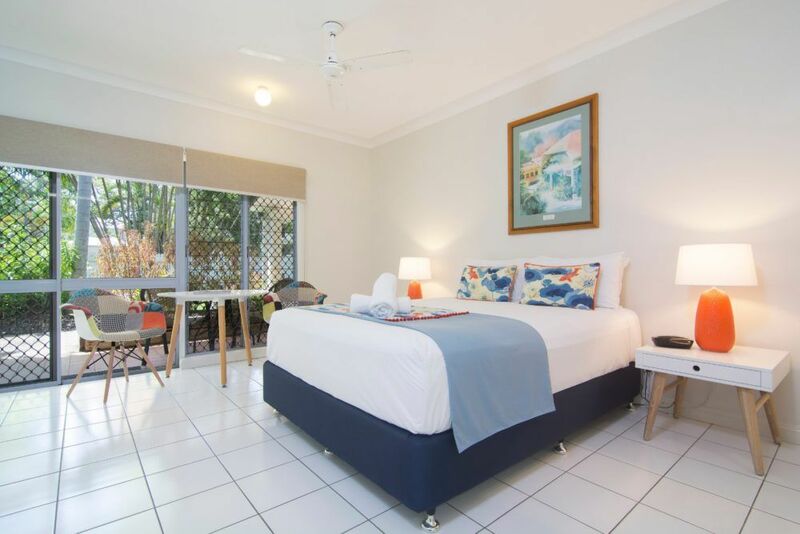 Our delightful Port Douglas accommodation incorporates an outdoor pool with waterfall and poolside bbq area with outdoor seating, the perfect place for relaxed dining after a big day out exploring the local area. With an abundance of eateries on Macrossan St which is just a 2 minutes walk away, here you will find a range of restaurants fine dining to cheap ethnic meals and a range of takeaways, you will be spoilt for choice. With the local Coles supermarket very conveniently located and all apartments being fully self contained, self-catered is a breeze. For a Port Douglas vacation that you’ll remember, check out our tours page and book your Port Douglas accommodation at Garrick House.